Smart Speaker, Voice Command Device Connected To Smartphone And Useful Apps. 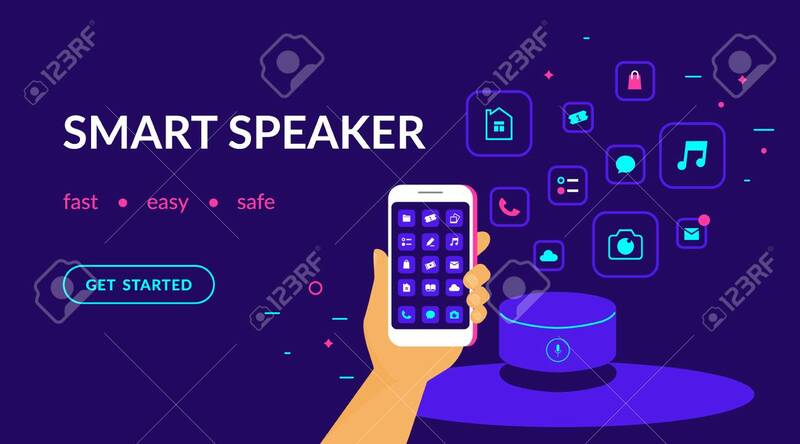 Flat Vector Neon Website Template And Landing Page Design Of Human Hand With Smart Phone Mobile Applications And Speaker Lizenzfrei Nutzbare Vektorgrafiken, Clip Arts, Illustrationen. Image 111011977.